They say that Mom’s have one o the toughest jobs in the world. In fact, some would argue that it is THE hardest job in the world. After all, we don’t have sick days and work 24 Hours a Day, 7 Times a Week, 365 Days a year and only get paid in hugs, kisses and sometime a little ‘tude. It is all worth it. Which leads me to think of my own mother and how special and unique she is. She and all the mothers of the world deserve to be celebrated, right? Now, it is easy to get stuck in the same gift giving rut and we may not even notice that we give the same type of gift, year after year. Day gifts. You will find the top health and beauty trends taking Canada by storm to the most talked about kitchen products and so much more. One thing most Moms are guilty of is not making time for themselves. With Tommie Copper you can look stylish while you embark on being active and getting healthy or to help you look your best at your best. 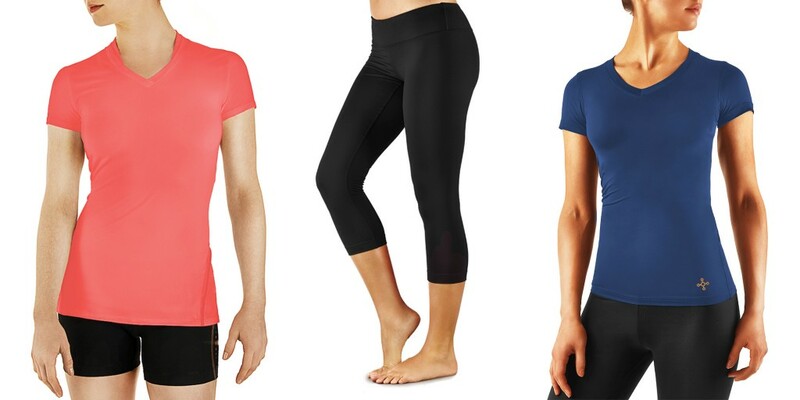 The Tommie Copper’s line of compression sleeves and clothing. Tommie Copper’s new Copper Znergy™ fabric combines zinc and copper for advanced skin benefits, combined with compression for targeted relief. It’s the perfect gift for the mom that is always on the move. Does Mom suffer from lower back pain, sciatica, or worse? I know that I do, especially after having kids, it is a daily occurrence. BeActive Brace is the answer. 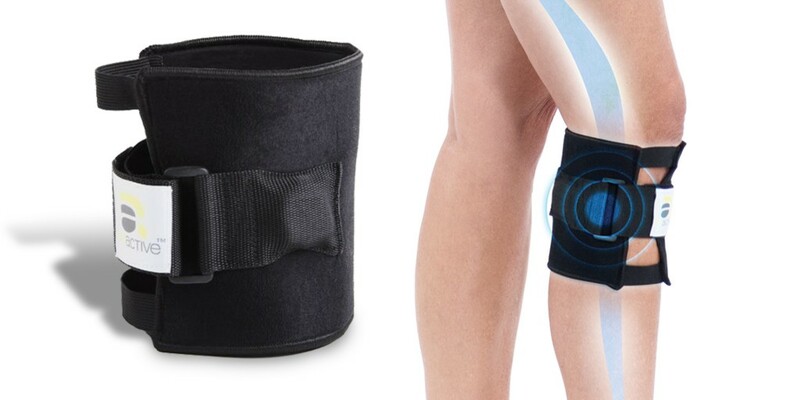 It’s a pressure point brace that sits discreetly around your calf, even under clothes, for all-day relief. Any Mom would love this gift. I always have a crick in my neck. Either from working every day or sleeping wrong. I don’t often find I have the time to see a masseuse either. 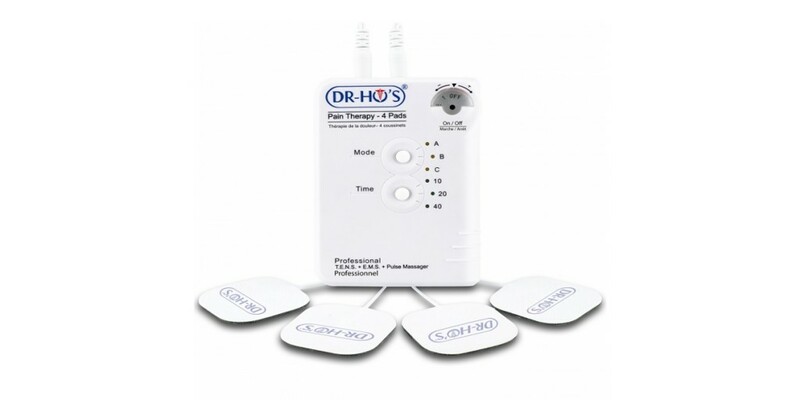 You can get instant relief by using this easy-to-use digital massage system with 12 relaxing massage techniques to any area of your body. It has four comfort pads that can be used to treat four different body areas at the same time or share a soothing massage with a friend. One thing I enjoy on Mother’s Day is getting a mani/pedi. But, what if you can give the gift where Mom can give herself one whenever she pleases? That’s a total win! Rejuvenate your feet and hands with the Personal Pedi. With a special mineral roller that loosens and lifts calluses and a buffing roller that gives you silky smooth skin, your mom will have pretty toes just in time for summer! 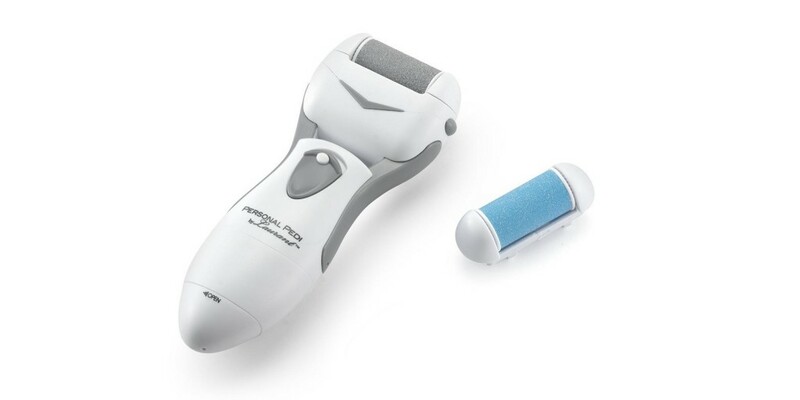 Dermawand is a smaller version of what the pros use. You will get a spa-like facial at home, using enriched oxygen to smooth away the appearance of wrinkles and lines. Mom will look years younger in just three minutes a day. You can’t ask for better than that! Who even like to shave? I say no, no to that! no!no! can be used anytime, anywhere: facial hair, body hair, even the bikini line. So no matter your skin type or hair colour, no!no! Hair PRO will change the way you think about hair removal. Not to mention, get you silky smooth and ready for the warm weather. It is undeniable that Wen Hair Care is an industry-changing product. What sets Wen apart is its non-lathering cleansing conditioner, a single-step process that cleans and conditions simultaneously for shinier, healthier looking hair. I’m sure you’ve heard rave reviews, now is your chance to try it or give it to Mom. She’ll thank-you for it. After you’ve used Wen you can give Mom that extra va-va-voom voluminous hair. You can have longer and fuller hair in just seconds! It is a revolutionary patented headband, which is completely invisible! It’s adjustable and fits beautifully without any bumps or ridges. Secret Extensions are available in different colours to perfectly blend in with your hair. I don’t know about you but, this is definitely something I’d love! Relieve the pressure of cooking a gourmet meal, just press a button to create moist and delicious tasting meals 10x faster! Create delicious spaghetti in seconds that is actually healthy for you. With 12 ultra-sharp stainless steel blades, Veggetti cuts your favourite veggies into thin spaghetti size or thick fettuccini size noodles. Everyone will want to come over for a tasty and healthy meal! Chopping the old-fashioned way is tough and can take forever. Chop Magic™ chopper is lightning fast and easy to use – it’s like having 12 knives in one! This year, think outside the chocolate box and get MOm something she will love and that you can be sure she will use time and time again. I don’t know about you but, I love giving a gift that keeps giving and I am appreciative to receive a gift that is functional and helps me to take a little time out for myself. Head on over to www.shopatshowcasecanada.com to find Mom the perfect gift! What are you getting the Mom in your life this year? I have wanted a no-no for a while now. What an awesome gadget that is, right? Thanks so much for sharing, all great gift ideas. My mom has put in a personal request for a new blender this year so I'll make her happy with that lol. These are all wonderful! I do a lot of running, so I'd love the massage system. That personal pedi looks great! I'd love to get that for Mother's Day for sure. I would love to try that BeActive Brace to see if it really works. I have had low back problems for years. I control it with exercise. My children gave me such a nice gift for Mother's Day last year, a spa day with the works. I don't know if that can really be beat. There are some nice gift options here to choose from though. With these, you can have your own spa day, any day! That personal pedi looks like a cool gift, as well as the rest of your selections. But personally I would love a Milanese stainless steel band with my Apple Watch that I preordered! Hehe! Those Wen hair care products look great! my mom would love those!! Great ideas of gifts for mothers day! They really are great! Thanks! Great list of gifts for mom!! 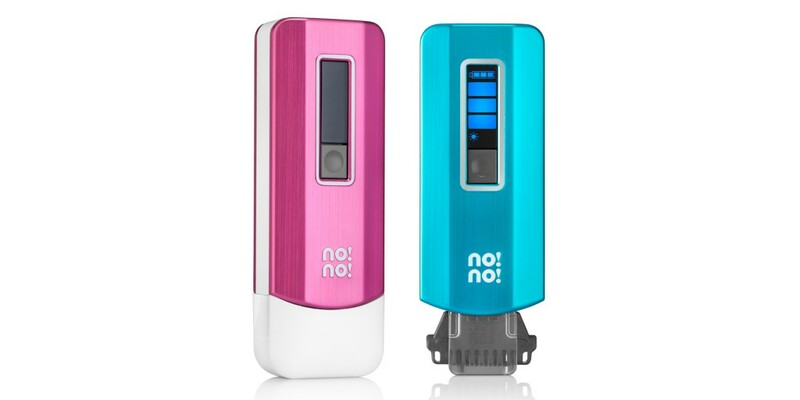 I have seen the no no and want to try it out! Glad you like the list! omg these are some pretty fabulous Mother’s Day gifts!!! I would totally love some new hair extensions!! Thanks, glad you like the list! Aww, that is nice of you! I could use everything on this gift guide. I guess, I need to give out a few hints so they know what to get me. LOL, I love all of it too! 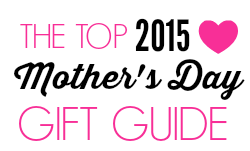 This is a great gift guide for MOther's day. I would like some new fitness clothing. PS. Love your music festival video on the side bar. I've been curious about the wen haircare line since it came out. I think that'd be f un pamper-me Mother's Day gift. Such great ideas! My mom passed away when I was 16 so sadly won’t be buying her anything, but we will be celebrating her this year! I am sorry to hear that. That is great to hear she will be celebrated. I would love to have the Dermawand. I don't have wrinkles yet but the fine lines are starting to show. My mom would love it too, for sure. These are all amazing products to give Mom for Mothers day. I would love to get the Wen Hair care. I have heard so many great reviews. I hear they are great! My mother loves to cook so my father and me have been trying to think of some things we can gift her. I think we'll probably end up going with a slow cooker since they are so many great recipes she can make. That is a great gift! This is a great roundup! I've been dying to try Wen products…my mom has used it and LOVES it! Any kind of massage is a great gift for mother's day. I can't wait to spoil my mom this year with great gifts. These look like a lot of really great products. I still haven't got my mom anything yet. I'll have to find something soon. Here is a great list! This is such an awesome list that you've put together. The items aren't the usual stuff that we give to our moms. These are things that moms won't just cherish, but they will actually use. This list very helpful for me because I like giving presents that are functional and not just something that would be left on the shelf for display lol. That is what I love! A gift that keeps on giving! I wonder if the BeActive Brace addresses knee issues. Ever since I was pregnant with my daughter back in 2012, I have been experiencing pain in my right knee every now and then. I'll definitely have to check out this product for sure! Such great ideas for Mother's Day! My mum is smiling from the heavens above and get to feel her warmth every day! Those are amazing ideas. I would love to try the personal pedi one. It looks like a great option for me. Who doesn\’t love a great pedi! These are all such fabulous ideas! I should try out that knee brace. I've been having more back pain lately! I would love any one of those for mother's day myself! Both myself and my own mother could use the brace – sounds like it would be a great relief! What a great selection of products that would be perfect for any Mom!! Great roundup!! This is an AWESOME list!! You have pretty much everything on there I could possibly want lol. The extensions and the no-no really top my list, for sure. Now…how to strategically place this somewhere that my husband will see it…. What a wonderful list ! !